A short post here as the art speaks so well for itself! 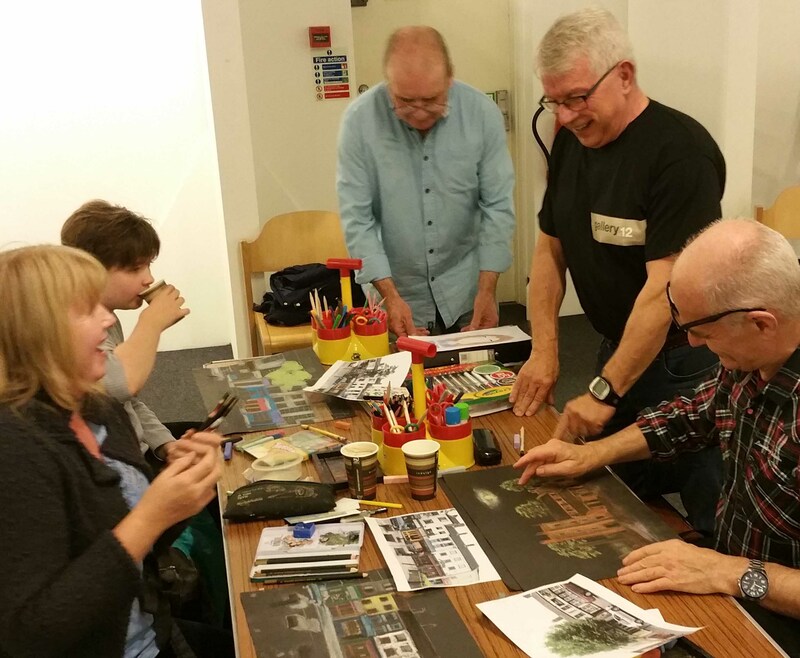 Been getting stuck into The Big Draw with a few other members of Gallery at 12, home of Staffordshire Artists Co-operative. It’s been a delight to meet these lively, creative youngsters – they need no encouragement, only coloured chalks and papers and they are off. 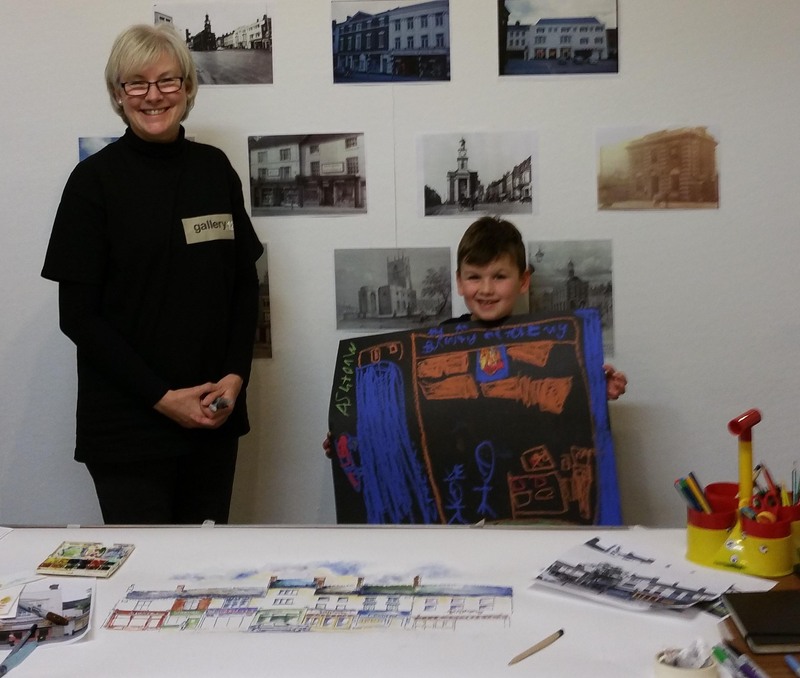 Newcastle Borough Museum and Gallery have done a great job hosting this drawing event throughout half-term. Ashton with his beautiful drawing. Saturday’s star was Ashton, our first artist of the week who really set the standard high. 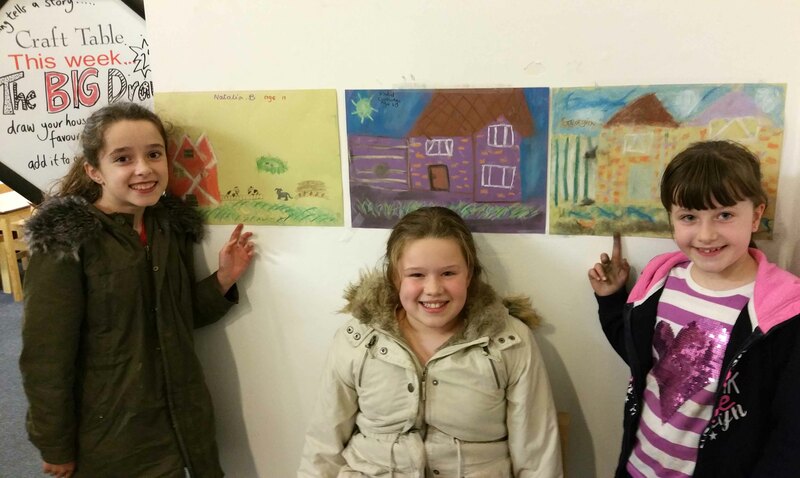 Today, Thursday, was full of activity but the work of these three young artists made a great splash of colour on the walls. 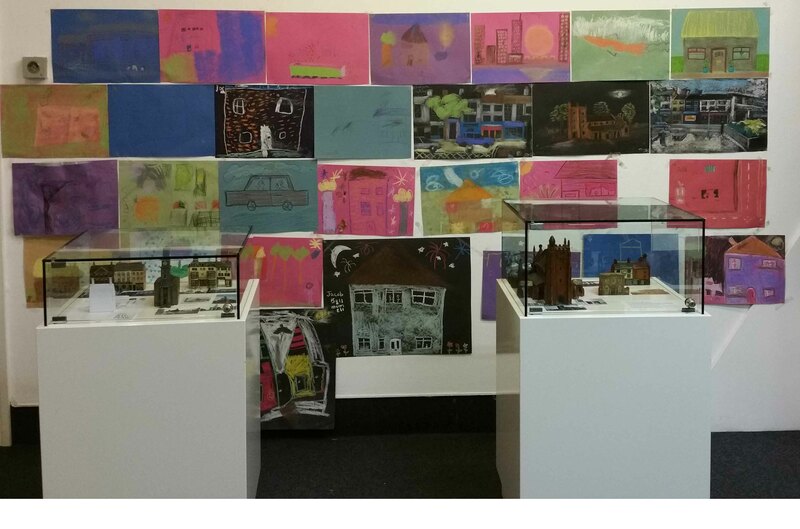 Natalia, Isabel and Georgia pin their work up in the gallery today. 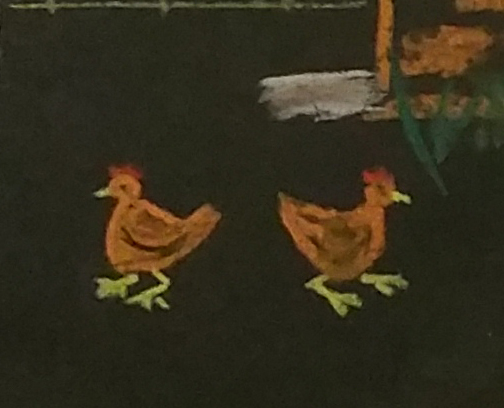 Hens were a universal favourite. As any grad student of #SketchBookSkool knows, a morning spent drawing is best followed by a pick-me-up coffee and yes, another sketch. 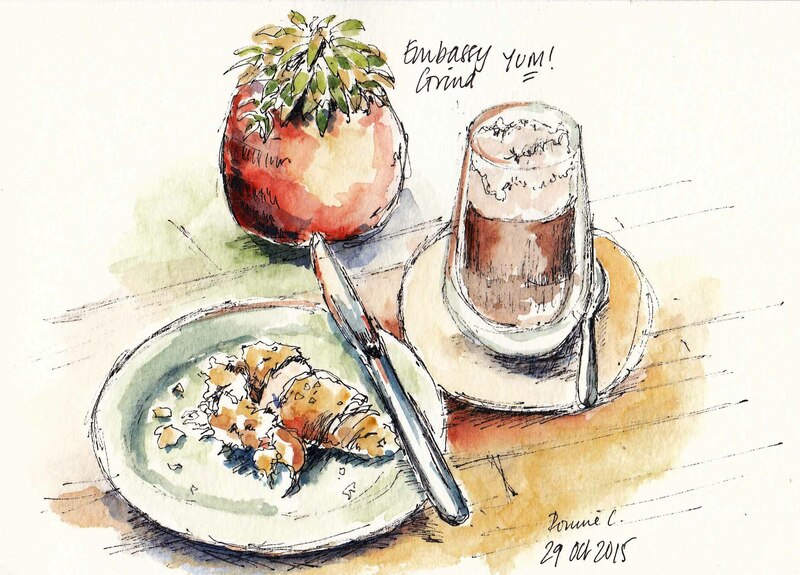 Cheers Embassy Grind – great new destination for us here in Newcastle-under-Lyme.